What a beautiful day it has been, here in SE England. 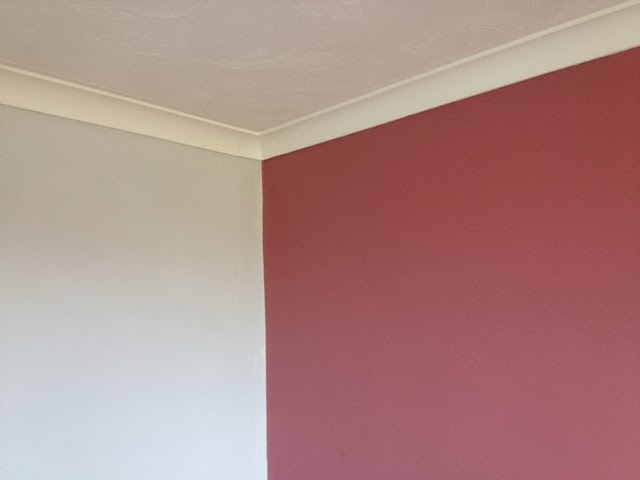 I had two walls to paint, and for them to be well done, I had to roller them twice with Dulux matt water-based paint. Altogether, each wall has been painted three times; first with a base paint, then two uppers. That leaves me with one more wall to finish, but I cannot do it until the fresh plaster is totally dry. There is one persistent area that remains damp, because the foundation plaster was recently replaced. 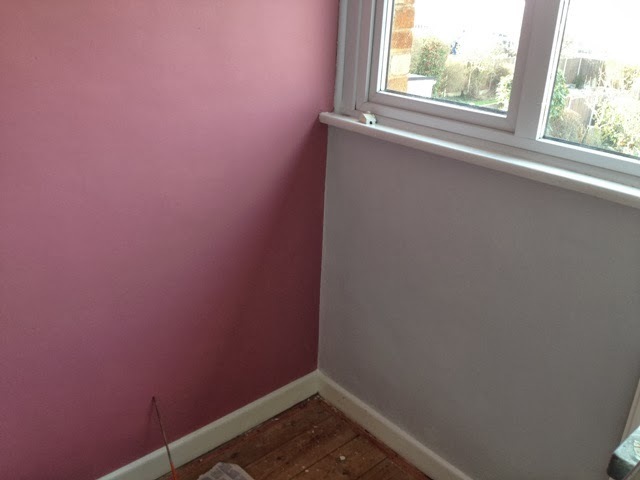 Tomorrow afternoon I’m hoping I shall be able to paint the skirting boards, windowsill, door and frame with a white acrylic paint given to me and my wife by our youngest daughter. She has been decorating a bedroom where her three boys sleep, and the paint was left over. I’ve never before tried an acrylic paint for decorating any part of a house, but when I taught children, I frequently encouraged them to paint pictures with acrylic paint. This water-based paint is very durable, and if it is not exposed to direct sunlight, the colours will not fade for hundreds of years.